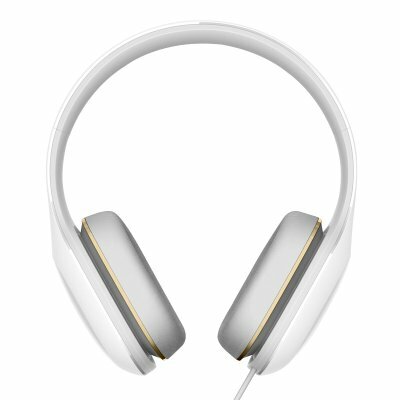 Successfully Added Xiaomi Mi Headphone - Comfortable Design, On-Cord Mic, 50mm Diaphragm, Compact And Portable (White) to your Shopping Cart. With these Xiaomi headphones, you will be able to take your audio experience to entirely new heights. Making high-end music portable, this headset allows you to enjoy your music on the go in audiophile-grade quality. No matter where you’re at, from now on you’ll always be able to enjoy your favorite songs. With its soft padding, the Mi headphones are comfortable to wear. Additionally, they block outside noise disturbance – allowing you to enjoy all those all-time classics without being disturbed by the noise generated in your environment. Besides being comfortable to wear, these earphones feature a simple and stylish design – letting you steal the show wherever you go. Being highly compact, they are easy to store and carry along within your bag without taking too much space. Capable of producing quite the amount of dB, these Xiaomi headphones let you enjoy your favorite songs even in the noisiest of environments. Its high-quality elastic cable furthermore features a built-in microphone that supports hands-free phone calls – significantly increasing its overall usability. Supporting the latest MEMS technology, this state of the art microphone is guaranteed to deliver great voice and audio quality. Whether you’re using these Mi headphones to listen to your favorite songs, engage in hands-free calls or to stay in touch with team mates during your upcoming online gaming sessions – your options will be truly unlimited. Thanks to its extra large 50mm diaphragm which is nearly 25% larger than the ones supported on regular headphones, the Xiaomi Mi headphone is incredibly sensitive and lets you enjoy your favorite songs in impressive audio quality across a wide frequency. Its ability to produce high-end and natural sound without any distortion is what sets these amazing headphones apart from its lesser competitors. For everybody out there that is longing for great audio quality on the go, these Xiaomi headphones certainly are an accessory to consider. These Xiaomi headphones come with a 12 months warranty, brought to you by the leader in electronic devices as well as wholesale electronic gadgets..
Arabic: - سماعة رأس قابلة للطي - Chinese Simplified: - 折叠式耳机 - Czech: - Skládací sluchátka - Danish: - Foldable hovedtelefon - Dutch: - Opvouwbare hoofdtelefoon - French: - Casque pliable - German: - Faltbare Kopfhörer - Hebrew: - אוזניות מתקפלת - Hindi: - Foldable हेड फोन्स - Italian: - Cuffia pieghevole - Japanese: - 折りたたみ式ヘッドホン - Korean: - 접이식 헤드폰 - Malay: - Lipat fon kepala - Norwegian Bokmål: - Sammenleggbare hodetelefoner - Romanian: - Căşti pliabile - Russian: - Складные наушники - Spanish: - Auricular plegable - Thai: - หูพับได้ - Turkish: - Katlanabilir kulaklık - Vietnamese: - Tai nghe có thể gập lại.